For the average person, it may seem unfathomable as to why anyone would ever want to sign up for USA’s Temptation Island — but for star Katheryn Golden, it was pretty much a no-brainer. In an exclusive interview with The Ashley, the blonde beauty — who Teen Mom fans may remember as Ryan Edwards’ ex-girlfriend — explained why she wanted to join the controversial series. Katheryn also dished on which of her co-stars came on the show for love and who she thinks is just looking for fame. ICYMI, ‘Temptation Island’ presents couples with tempters — one being Katheryn — to see if their relationship can withstand temptation. Katheryn says she was newly single at the time she was approached to appear on the show, and decided to take a chance. Katheryn definitely has opinions about the couples who join the series. She believes some of them — like Shari and Javen, or Evan and Kaci — were truly there for the right reasons. Katheryn said that she thinks some couples, though, are just looking to break into the reality TV arena. “I think Kady was definitely looking for her few minutes of fame. I do think Kady definitely had an agenda going into this,” Katheryn said. Kady is a country girl and John’s a city boy–will their 2 1/2 year relationship withstand the choppy waters of #TemptationIsland? While Katheryn didn’t get to know Kady that well, she did get to know Kady’s beau John. 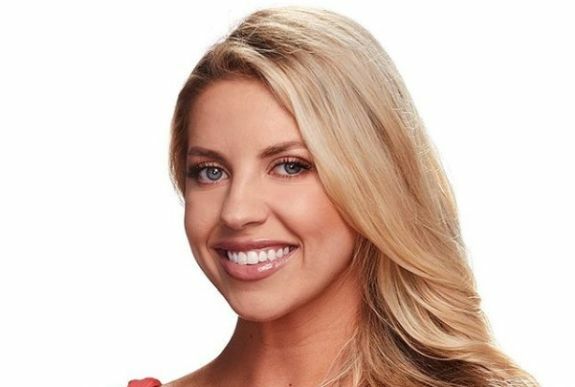 After dishing about the potentially problematic couples, Katheryn opened up about her fight with bestie and fellow temptress Morgan Lolar,which happened after she interrupted her alone time with Evan. Katheryn feels that the other singles were trying to pit her and Morgan against each other. ‘Temptation Island’ airs Tuesdays on the USA network.